To Love a Rose: 15,000+ views and Lots of Other Stuff! First, I want to say a huge THANK YOU!!! to all of you who read my blog and have supported me through these often tough and trying times! 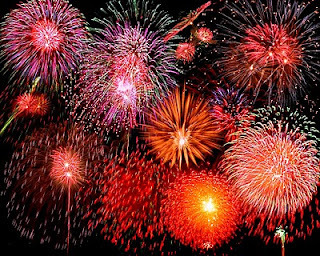 I have made it to over 15,000 views (15,136 to be exact); and I'm so very humbled and grateful! Not only have I been able to share and promote infertility awareness here in my own "space"; but I've also been able to share by being a guest blogger on Hannah Wept, Sarah Laughed and featured blogger on BlogHer. God has truly blessed me! Honestly, I was talking to Mr. C about why God hasn't "shown up" for us...not that I don't believe that God's "been there" just that it's easy to wonder why he heals this person or answers that person's prayer(s), but hasn't answered ours for a baby. It's a difficult question to answer, and I'm sure there would be many people out there ready to jump in with the, "Well, there is no God anyway; and this just proves it - haha!" explanation; but since I haven't lost my faith and still believe God is there for us, how do I cope? In complete truth, sometimes I don't. Sometimes I scream and cry and curse - in short, I throw a "big-girl tantrum". But if I really think it all through I realize that this terrible struggle with infertility has given me back many good things as well. I know, I know! "Good things? Is she NUTS?!" Well, maybe I am; but I can honestly say that without my battle with infertility I might not have started moving forward in certain aspects of my life...like writing again. When I was younger, I published poetry, wrote short stories, was a journalist for a real-life newspaper, wrote scripts for my college job, etc. I wrote all the time. I was published several times, and all before the age of 24. I was a good writer. I felt confident in my skills. 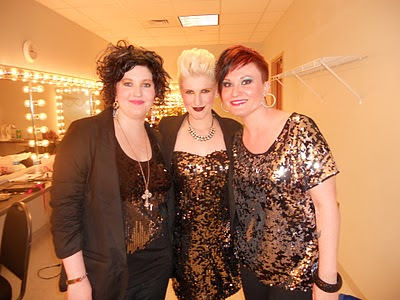 Then, I broke up with my crappy college boyfriend, moved away from Nashville, and started life over trying to be something else...after 5+ years I had started to lose my "muchness", and I certainly had no confidence left in me to write. As we started down this road of TTC a baby, I needed an outlet for all of my frustrations and pain - a place to lay to rest the emotional wreckage floundering around in my heart and head. I started blogging. And while I never thought anything would (or could) come of a tiny, little blog about one, insignificant person's daily struggles, it has become so much more to me. From this blog I've been able to write for thousands of people, share my veiw-points, and get my head back in the game of writing. Since starting this blog, I've finished the first draft of my graphic novel, written poems again, and am in the process of writing book one of my five-part children's adventure book series. My literary world is opening up again, and for that I am most grateful! I did Script Frenzy to finish my graphic novel script; so, I'm really looking forward to buckling down with everyone in November to finish book one of this series! 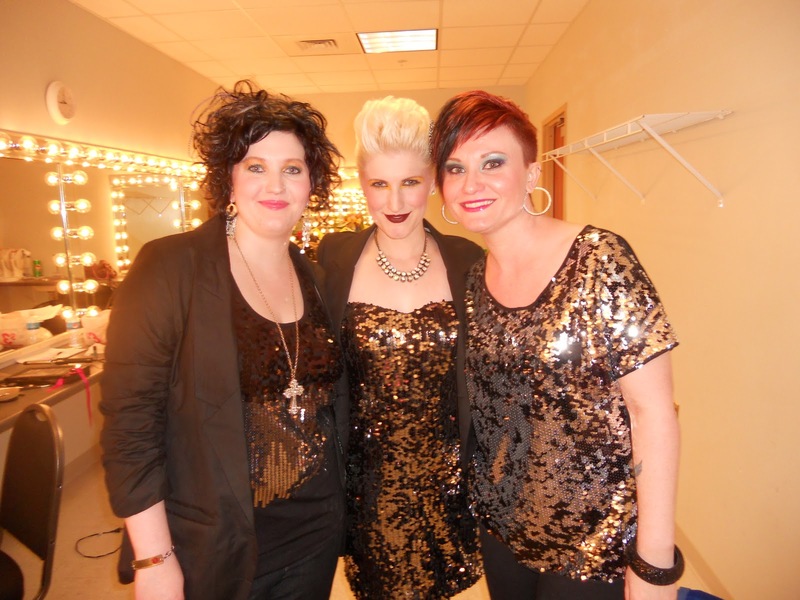 W, M, and myself backstage during intermission for The Beautifully Broken's hometown show. We had a blast! 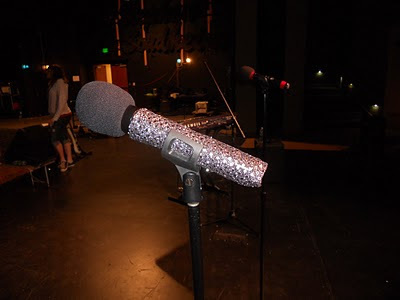 It didn't go perfectly - FAR from it (W, had just been in the ER literally a week to the day of the show after having 3 grand mal seizures, after all! ); but we're still glad we did it and grateful to all who came out - we sold several hundred tickets and had a flat-out FANTASTIC audience! 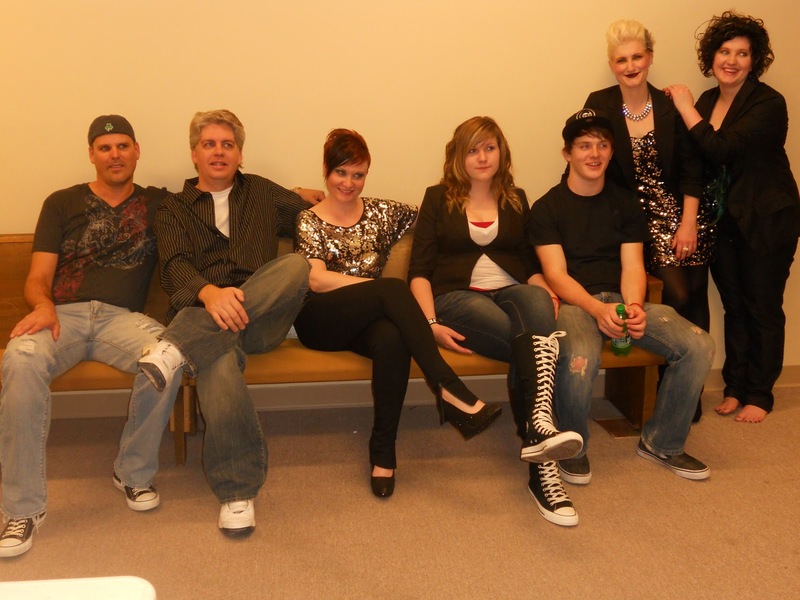 Backstage with the band (L-R): Joe, Steve, me, Calista, Jordan, M, and W - we had a blast together! 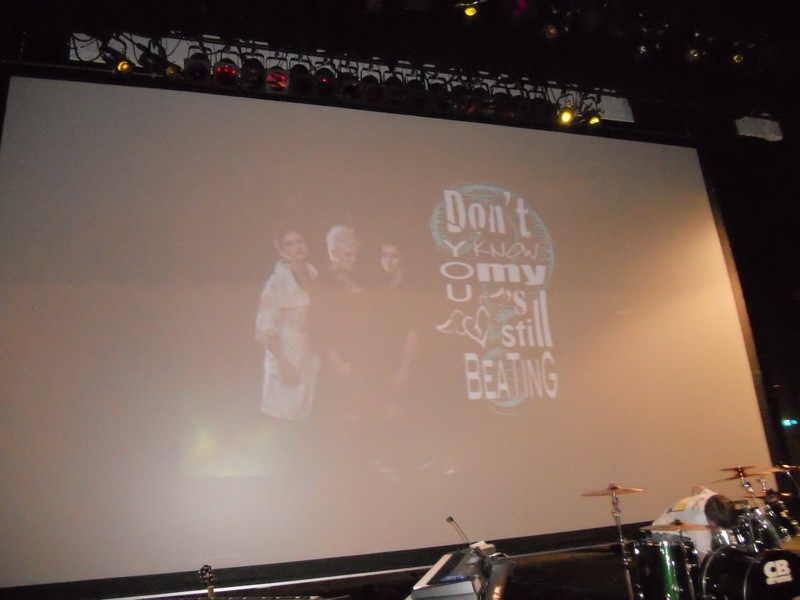 Some of the artwork M and Mr. C worked on to be projected onto the scrim during the show - they did a great job! My new sparkley microphone skin - I'm more than a little excited about it! Being back on stage again made me remember another long-lost love of mine: running. I used to be a long-distance girl. I hardly ever got tired - I just loved the feeling of going and going and going. The constant slap of shoe sole on pavement (or something more natural :), the breeze, being outside, etc. - I loved it! When we started having trouble TTC, all of our doctors agreed that I shouldn't work out "too much" so as not to risk any potential ovulation or newly formed pregnancy. After years of doing indoor cardio and strength training, I decided enough is enough. I'm getting back into running. And, feeling a need to have a "goal" to push towards, I am registering for the Nashville Rock 'n Roll Marathon Series. I'm going to be doing the 1/2 marathon on April 28th of next year, and I'm super stoked! I've been wanting to do a "running event" for a while now; so, why not NOW?! Yes, the adoption is on! Since everything is really new, and we're still figuring things out; I don't feel comfortable sharing anything with too many people (Lord knows we how awful we felt having to tell everyone that the Ethiopian adoption was off - ugh! That was terrible!). I'm hoping that in a few weeks we'll feel more up to being open about it all. But for now, just know that Mr. C and I and our families are excited for this journey ahead of us. And as a little aside, PS: if you would like to pray for us as we gather documents, raise funds, and jump into the emotional roller-coaster that is international adoption (that's your ONLY clue as to what's going on right now, by the way! haha!) we would LOVE it and be so VERY grateful to you always! Help us bring this child(ren) HOME! 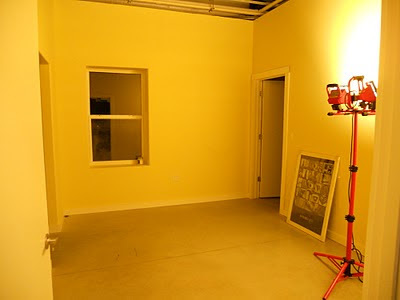 You can't really tell, but the walls are a color called "fun yellow" (and it is fun!). Everything else will be black and white...we've got a lot of cool things already. We're keeping the nursery gender-neutral, because it will likely be close to the end of the adoption before we know the gender of the baby(ies). And why, you may be asking yourself, does she keep putting in plurals? Well, that's because we've decided to ask for twins, if available. Yes, we might be nuts (as all you MOM's out there would probably insist); but after waiting this long for a baby, we're absolutely thrilled at the idea of having "two for the price of one", so to speak. BUT, it's all up to God...I know we will get the child(ren) that is perfect for us and our family. If I have learned anything on this journey, it's that He knows much better than I. So, yeah...that's about it! Lots of fun and exciting things happening. I'm stoked to see what God has in store for us all in the coming months...it's going to be an incredible adventure! So exciting! Congratulations and wishing you amazing thoughts on your journey. Thanks! We are really excited...just hoping and praying that every step of this journey goes smoothly. I've been following your blog for some time now. You have such an amazing spirit and attitude, despite the troubles you've faced. I wish you nothing but the best as you begin your journey with adoption. And I'll keep my fingers crossed for twins. How fun. ;) Cant' wait for more updates! Tell your mom and M hi!!! Very excited for your upcoming adventures and I hope to see you when you're in Nashville!! !